The origins of the guitar are in Spain, and that is where the modern form of the guitar was developed. Consequently, there is a Spanish influence in most guitar music and it's really good fun to play some music in this style, even if it's not something you specialize in playing. The early ancestors of the guitar date from the 1500s in Spain, though there were some differences from the modern classical guitar. originally these were five - course guitars, where the strings were doubled in a similar way to the modern 12-string guitar, so they had 10 strings in all. "instrument so fashionable that everyone was playing it - well or badly. 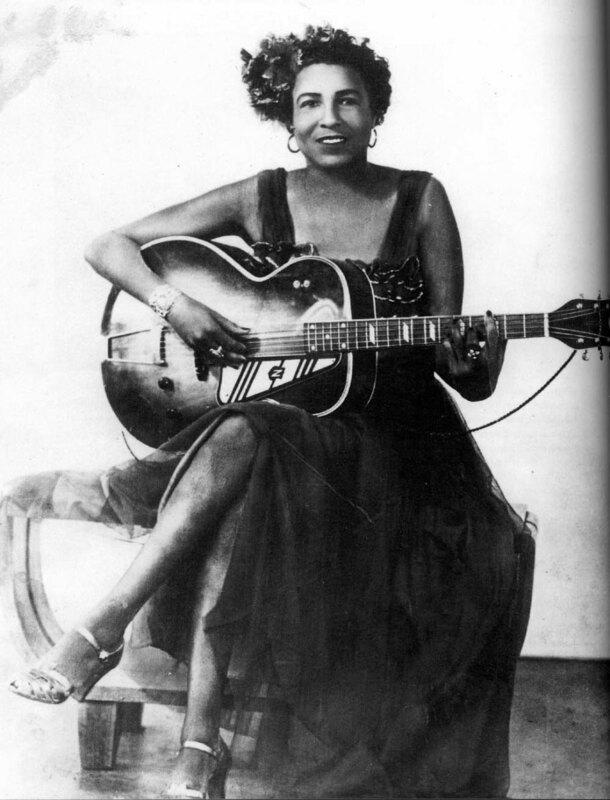 Even on the dressing tables of all the beauties one could rely on seeing a guitar as well as rouge and beauty spots." In the 17th and 18th centuries the guitar continued to evolve, and in the 1800s became close to the modern classical guitar, with six strings. Flamenco guitars also evolved, with a different design to enhance projection and volume. As southern Spain was an Arabic country for 700 years or so, Arab music influenced flamenco. If you try out the scale pattern by the chord grids, you'll notice a Middle - Eastern or North African sound that is really different to European music. Arab musicians arrived from Syria, and must have influenced the sound of Spanish music. Ideally, flamenco is played with nylon string guitars. Flamenco guitar is a great style of guitar, but it's also very demanding, with it's own unique technique. A technique I haven't got! What we've got here is fake flamenco, the sort that you can learn in a very short time. 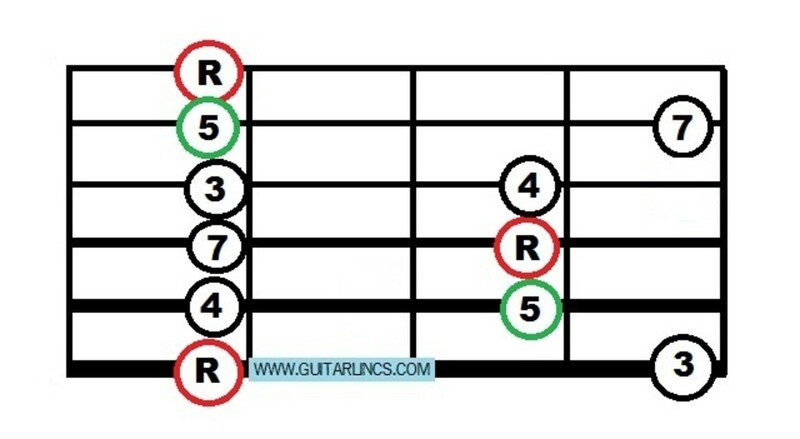 Above the chord pictures is an indication of how many strums you do on each chord. The pattern keeps repeating, and you could put in a variation by going to an Am chord or Dm chord now and then. 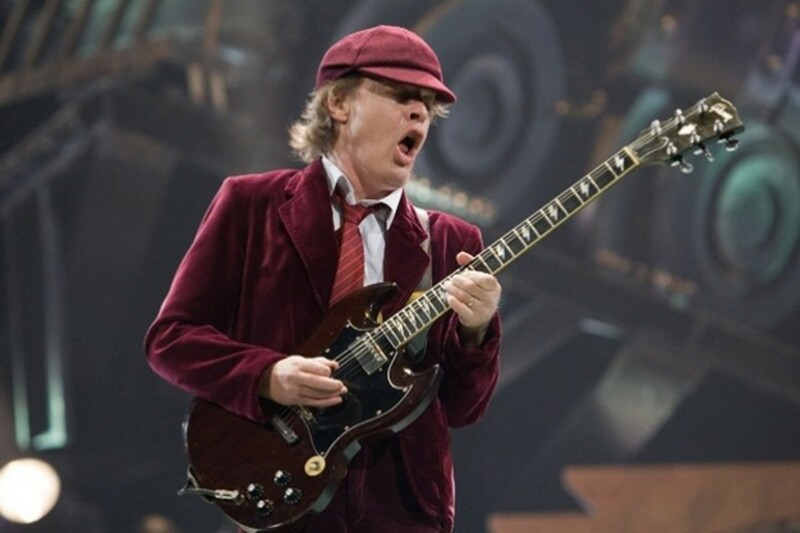 The second chord progression is a typical Am, G, F, E chord progression that has been widely used, and widely copied - Sultans of Swing and Stairway to Heaven are just two examples of this style of chord progression. If you listen to great flamenco players such as Paco De Lucia (see video) you can see flamenco guitar music at its best. 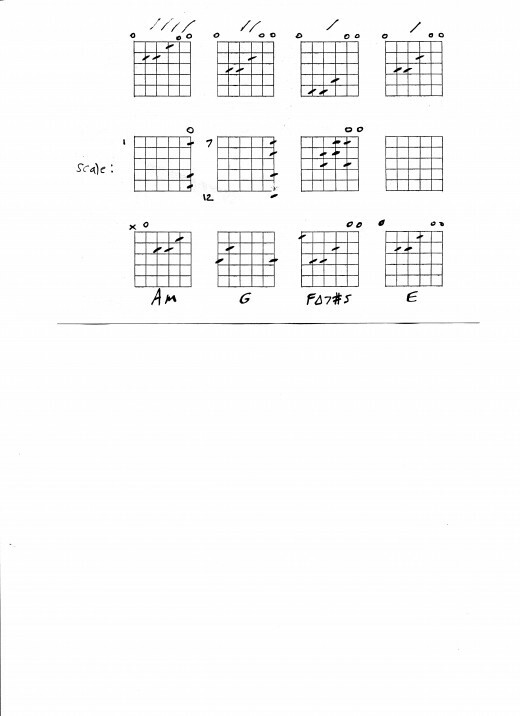 The scale patterns shown can be used to improvise solos over these chords. Hi dommcg - as I mentioned, this is only a starting point. The right hand technique is really tricky!